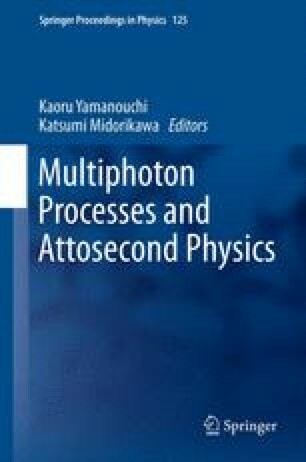 Attosecond time-resolved transient absorption spectroscopy is performed in a dense helium target by superimposing an attosecond pulse train (APT) with a moderately strong infrared field. We observe rapid oscillations of the absorption of the individual harmonics as a function of time-delay between the APT and IR field even for harmonic energies well below the ionization threshold. The phase dependence of these modulations on atto-chirp and IR intensity yields direct evidence for the interference of transiently bound electronic wavepackets as the underlying mechanism. This research was supported by the NCCR Quantum Photonics (NCCR QP), a research instrument of the Swiss National Science Foundation (SNSF).